Healthcare — whether it’s for humans or animals — has become outrageously expensive, thus making pet insurance an attractive alternative for owners to avoid high veterinary bills. Pet insurance helps protect your pet and wallet from the rising cost of care. How Much Is Vet Care? Why Are Veterinary Costs Rising? Increased vet costs can be attributed to a number of different things. Veterinarians graduate with sometimes hundreds of thousands of dollars in student loans. They need to get paid enough to pay off their debts in addition to the typical costs (food, housing, etc.). Dogs and cats have become part of our families, which means many of them have been placed inside our homes instead of outside. In the past, when animals got sick, the common solution was to euthanize them. Today, pet parents will spend thousands of dollars to cure their sick pet’s ailments or heal their wounds. This means vet care is becoming more common because people are taking their pets to the vet for more treatment. Just as we humans sometimes have issues that can no longer be properly managed by a general practitioner, so do our animals. Our pets can now be referred to board-certified oncologists, ophthalmologists, dermatologists and neurologists. With advanced care comes advanced knowledge, and with higher knowledge comes higher fees. Below are 10 stats on how much vet care can cost pet owners. 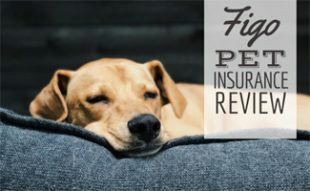 We’ve got an entire article dedicated to pet insurance statistics and even made this short video to help sum up some of the big takeaways. 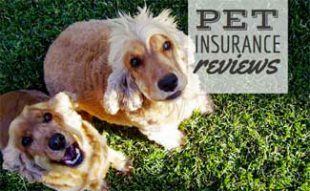 How Can Pet Insurance Help? 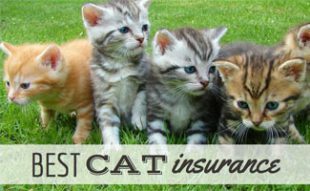 Pet insurance works similar to how health insurance works. When you get sick, your insurance is there to make sure you don’t clean yourself out financially while taking care of yourself. It works the same for your pet. Instead of having to dig deep into savings to cure your four-legged family member, you can rest easier knowing that pet insurance will cover some of the cost of the treatment. 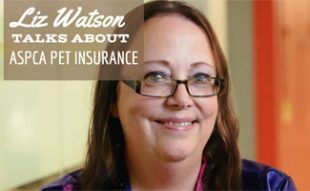 With many pet insurance plans, you’re guaranteed that just because this fluke occurred, you’re not going to be left to pick up the pieces, and the check, alone. Make sure though when you’re checking out potential policies that the one you’re interested in does indeed offer accident protection, and you are prepared to cover the deductible. You may love your English Bulldog, but that doesn’t mean you can wish away their hip dysplasia, cardiac disease or respiratory disease. You can protect yourself against the odds. Many pet insurance policies offer protection against hereditary and congenital conditions, so you’re financially covered. We get it, pet healthcare is still a luxury for many animal owners in the U.S. While we strongly suggest trying to find a policy that fits your needs and budget, we do understand that sometimes, pet insurance is just not an option. Not to mention if your pet already has pre-existing conditions that won’t be covered. Whether you’re able to cover your pet under a policy, or you just want to keep your insured pup healthy with preventative measures, here are a few tips for taking the edge off rising vet costs. As the saying goes, “You are what you eat.” The same is true for your pet. Feed them highly processed foods, and you’ll reap the unpleasant reward from that decision in the vet’s office. Spend a little more on better food, and you’re much less likely to pay unwanted vet visits — and bills. Several times a year, vets may offer free clinics where they nix appointment fees. It’s a great time to schedule your pet’s vaccinations and annual check-ups. If your vet doesn’t provide this service, check with your local Humane Society or animal control; they should be able to offer you a list of available options. For non-life threatening prescriptions, try using an online pet pharmacy for your pet’s prescription needs. Learn more about safe practices when ordering pet medications online. This should really be the first item on the money-saving list. By spaying or neutering your pet, you not only save the cost of caring for an unplanned litter of pups down the road, you also don’t contribute to the thousands of animals already crowding our shelters and streets in need of a home. Also, non-neutered males can develop prostate issues as they age. By neutering your pup, you’re able to beat these odds and not contribute to the overcrowding of shelters. We think it’s a win-win. We’ve explored why the cost of veterinary care is rising, and ways that you can keep your costs down in the event your pet needs medical care. However, whether you choose to cover your pet with insurance or not, the key to a long, happy life with your 4-legged family member is prevention. Regular wellness exams, quality food and spaying/neutering can go a long way in preventing unnecessary health issues in your pup. 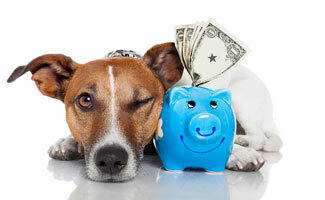 Do you have any vet money-saving ideas to share? Healthy Paws lived up to everything it promised! Our 7 month old Lab ate Sago Palm seeds. He spent 6 days at the vet hospital with a staff trying to save his life. We were comforted knowing we had Healthy Paws supporting us, so we only had to focus on his recovery and not worry about the cost. I urge those without insurance to purchase it for peace of mind when your confronted with an emergency. Healthy Paws is the way to go!